3. DJ Applejac feat. Miles Bonny "Adinkra"
8. The Midnight Hour feat. CeeLo Green "Questions"
10. Hallex M feat. Jinadu "Beautiful World"
22. Henrik Schwarz & Metropole Orkest "Counter Culture"
23. The Midnight Hour feat. Carolina and Loren Oden "Feel Alive"
26. Jacob Collier "Don't You Worry 'Bout A Thing"
27. The Midnight Hour "Black Beacon"
"Theo Parrish was born in Washington D.C. in 1972 and raised in Chicago, IL where his passion for music developed. He is the owner of the Sound Signature record label and he is a member of 3 Chairs, The Rotating Assembly, and T.O.M. Project. Miles Davis, Stevie Wonder, Jimi Hendrix, Nina Simone, George Gershwin, Bob Marley, as well as his uncle, jazz musician Dexter Sims, all had strong influences on Theo's early musical life. Chicago's radio influences and House artists such as Ron Hardy , Larry Heard, Lil Louis, Farley Jackmaster Funk, Gene Hunt , Mike Dunn, Frankie Knuckles , Walter Get Down Brown and Andre Hatchett, helped to spawn Mr. Parrish's early career. He began spinning and producing tracks in 1986, at the age of thirteen... After graduating from the Academy for the Arts, he recieved a scholarship to the Kansas City Art Institute where his interest in music was taken to a new level through his study of sculpture. In 1994, he recieved a Bachelor of Fine Arts degree from KCAI with a concentration in Sound Sculpture, a form of orchestrationusing live instruments, looped recordings, the human voice, and numerous other sound generating devices. While in Kansas City, Theo continued to impact and be impacted by dance music, helping to bring a dormant underground music scene to life. In 1994, Theo Parrish moved to Michigan where he became heavily involved in Detroit's underground music scene. Producing music and delivering his unique and dynamic sets in venues throughout the Detroit and surrounding areas, as well as abroad he has gained the attention and respect of dj's, producers, listeners and dnancers worldwide." Green Pickles feat. Billy Lo and M. Pittman "Feedback"
Theo Parrish feat. Jerry The Cat "Dan Ryan"
Tony Allen & Theo Parrish feat. 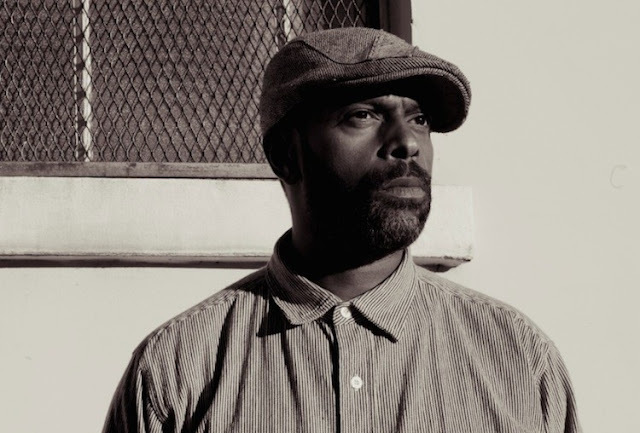 Andrew Ashong, Eska, & David Okumu "Feel Loved"
Theo Parrish feat. John Douglas & Trent Mitchell "Suns of Osiris"
The Rotating Assembly feat. Genevieve Marentette "Mess I Made"
The Rotating Assembly "Orchestra Hall"
Theo Parrish "Major Moments of Instant Insanity"
Theo Parrish "Summertime is Here"
Theo Parrish "Going Thru Changes"
Tony Allen & Theo Parrish feat. Andrew Ashong & Eska "Day Like This"
Andrew Ashong & Theo Parrish "Flowers"
Theo Parrish "Walking Thru The Sky"
Duminie Deporres & Theo Parrish "Bi Location"
Theo Parrish "Make No War"
Duminie Deporres & Theo Parrish "No Demons, No Majic"
Theo Parrish "Heal Yourself and Move"
The Rotating Assembly "The Rust Organic"
Dancing on the Deck! Ancient Deep vinyl release party! Dancing on the deck returns with a special occasion not to be missed. 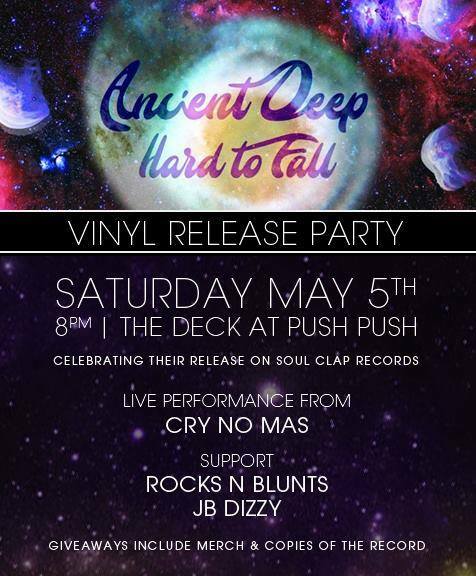 Celebrating their latest vinyl release on Soul Clap Records, "Hard to fall", with a night of live percussion, a special appearance from title track vocalist, Cry No Más, and give always including copies of the record. Join us as we take pride in being able offer all this from our favorite little city.